If you are anything like me, you may have a couple different email addresses – work email, personal email, freebie/junk email etc. It is SO easy to let all the emails just accumulate until…you have thousands to go through and it overwhelms you just to think about it. 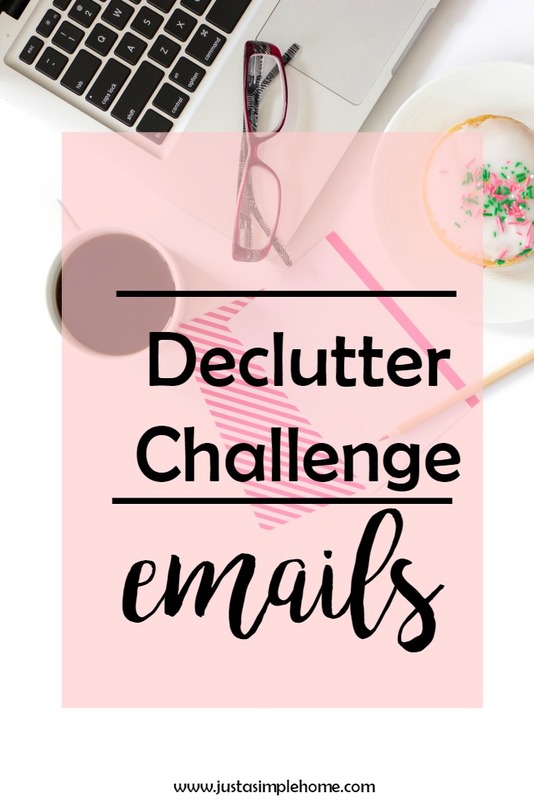 Well, today I am giving you a few tips to go through the email clutter and free up some time and space. If you don’t have Gmail already, you may want to look into it. They have a feature that lets you set up a Priority Inbox, which has been amazing for me. I admit, it took me awhile to use it because I am not the best when it comes to change. However, once I did, I knew I could never go back to using only one inbox. My emails are now sorted for me, based on a priority inbox, a social inbox, and a promotional inbox. Most email servers let you set filters for your emails. This lets you apply a certain label to an email, color code it, send it immediately to a certain folder and more. I love being able to see what I need to respond to at a glance, based on what color the filter is. For the emails that you get a lot of that aren’t urgent, set up filters for them to skip your inbox and go straight into a certain folder to look at later. Here is the big one- UNSUBSCRIBE from all of your junk emails! Yes, I realize this will take work and therefore time. But I promise you that you will not regret doing this and will feel SO much better. Clear the clutter form your inbox, and clear the clutter from your mind. When was the last time you even opened an email from that store or read that online magazine? Take a good amount of time today to unsubscribe from as many emails as possible. Then, over the next week, every time you get an email you don’t really need, take the minute to unsubscribe instead of deleting. If you use your email for business in any way – let me let you in on one of my secrets. It’s called Streak and it’s life changing. Honestly. It is a plugin that works with Gmail only. It has completely organized my email lists and saved me so much time and boosted my productivity levels tremendously. You can look for yourself here. This is not an affiliate link, just something I love and recommend. There you have it! I hope you actually completed the task and are already feeling less cluttered. Do you have any other tips for organizing your inbox? My emails are always a mess, but they make sense to me. Thank you for sharing your challenge! I just recently did this myself and it felt amazing! Thank you for sharing! I am in the process of unsubscribing from so many junk emails right now! But I do love gmail bc it is a lot easier to see which emails are junk and which are ones you need. I use unroll.me and it’s been a game changer! Keeping my inbox is so essential. I used to come back from a weeks holiday to thousands of emails. It’s not a nice way to start back to business life. Great tips. Email is a real challenge to keep up with. Thanks for the tips. I need to look into filtering email! Email clutter is the worst! I’m usually pretty on top of it but I’ve been slacking a little lately! I love Gmail’s priority inbox! It helps me to sort through e-mail clutter, which there is alot of! My inbox is overwhelming sometimes lol. Totally going to check out Streak. I have to look into Streak. I have used UnRoll.Me for my inbox in the past but I need to re-boot it because my inbox is seriously at 25K unread emails. not even exaggerating! great tips for getting your inbox organized! I cannot stand it when my inbox is out of control! These tips are great for keeping it in check. I find it especially important to unsubscribe from store email lists — it keeps my inbox and my closet nice and slim! From time to time I unsubscribe from spam newsletters that I have never subscribed to and delete e-mails that are no longer needed. It feels so good to have a clean inbox! I had no idea that there was a plug-in for Gmail like Steak. I will have to try it! Thanks for sharing! You are welcome Cristina! Streak is a lifesaver for me!